Hunting in northern Canada with South Nahanni Outfitters means prime Dall Sheep trophies, probably the best Mountain Goat hunting in NWT, giant Alaska-Yukon Moose and thousands of Mountain Caribou to choose your record bull from. Our backpack hunts are supported by helicopter transportation, which allows for a new dimension in game management -usage of entire area without over-harvesting more easily accessible populations- resulting in continuous good trophy qualities. 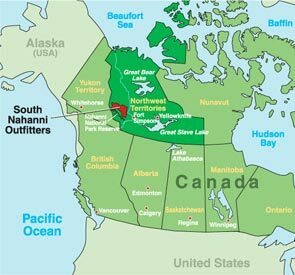 How do we hunt this part of the Canadian North? How can you hunt our mountain vastness, these tracts of unexplored northern ranges, devoid of humans and lightly sprinkled with game? By becoming a modern nomad who takes advantage of helicopter, lightweight backpacking gear, satellite phone and hiking, climbing feet. The helicopter will lift you from base camp to a prime game area, eliminating strenuous travel into the actual hunting location, making your hunt easier and more efficient. Together with your personal, professional hunting guide you establish a spike camp of small backpacker tents; not right beside the game you are seeking, but within hiking distance. Camping spots are determined by water sources, landing possibilities for the helicopter and the availability of game. All our hunts are spot and stalk, and certainly FAIR CHASE. Most of your hunting will be done in day hikes from this spike camp. It is rarely necessary to move your entire camp on foot. Still, be prepared to hike, walk uphill, climb, glass, spot, stalk, walk over rocks on Dall sheep hunts or through boggy forests on moose hunts, up and down mountains. What we offer are wonderful hunting experiences in absolute wilderness. 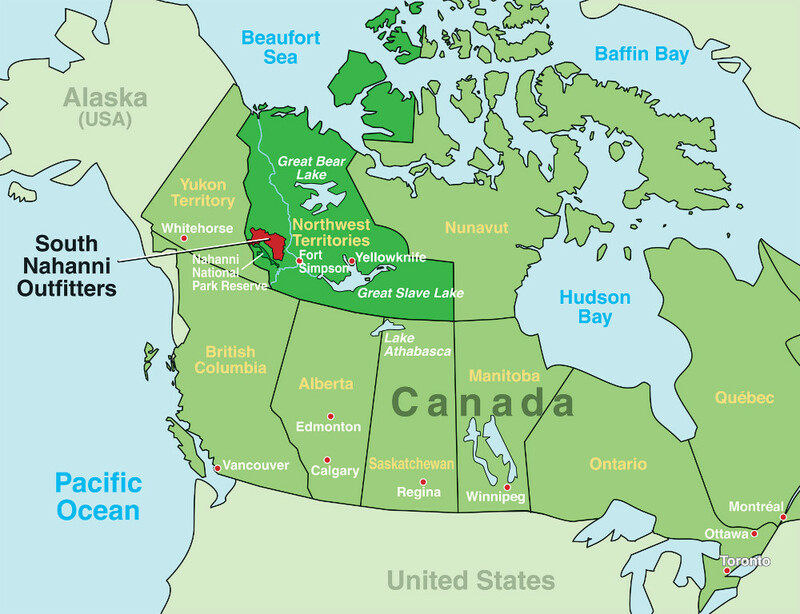 The Canadian North is a stark land, covered in ice and snow 8 months of the year. Superb organization and excellent northern hunting guides with a total understanding of the land and the game are paramount to success when hunting the vastness of the Mackenzie Mountains of the Northwest Territories. When coming to hunt a special place like South Nahanni you will have to submit to its beauty and its challenges in order to experience the ultimate in successful wilderness hunts. The opportunity to harvest trophy game will present itself - 100%.Seize it.